It is unfortunate that we all must remain extra vigilant against scams and dishonest people. Unfortunately, we’re all too familiar with the scope of this problem in the contracting industry. 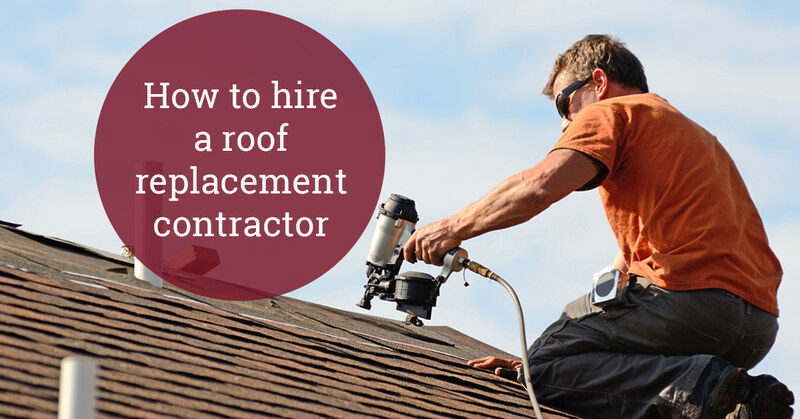 Here are some tips to increase your odds of hiring a reputable roofing contractor that has the skills to do the job right, and to avoid a contractor that might not deserve your trust. Of course, our first tip is to call Express Roofing. We’ve been putting new roofs on your friends’ and neighbors’ houses for more than 20 years. We’ve got a history of excellent customer service, we do the highest quality work, and we do it all at very fair prices. Shopping around is never a bad thing though, so, here are some more tips. If a potential roof repair contractor doesn’t have references or refuses to give you any, don’t even think twice about using them. Run. Run away fast. Any reputable contractor will have at least a handful of happy customers that will be happy to talk to you. Think about it. If you had an exceptional experience working with a local business, wouldn’t you feel good about providing that business with a reference and helping them grow? Of course you would. Most people would. So a few good references should not be hard to come by. Is your roof replacement contractor a member of the Better Business Bureau? If they are, you can confirm there that they have all of the necessary licensing and insurance. You may also find reviews there. More importantly, any complaints filed with the Better Business Bureau will be available there. If you find a bad review or two, we wouldn’t say that’s enough to count out a potential contractor. Just do some more research. Everyone gets a bad review once in awhile. The warranty on the work performed by your roof replacement contractor is NOT the same thing as the warranty provided by the roof material manufacturer. Make sure the work is guaranteed. This is especially important because improper installation could actually invalidate the materials warranty. That is not something you want to have to deal with down the road. If you feel at all uncomfortable with a roof replacement contractor, just walk away. This is way too important to hire someone because you don’t want to hurt their feelings. If you are waiting for additional estimates or waiting to hear back from your insurance company and a contractor tries to pressure you to make a decision before you have all of the information you need, keep looking. High-pressure sales tactics are never used by reputable roof replacement contractors. We always tell people to listen to their gut. If something doesn’t feel right, it probably isn’t. Don’t shy away from jargon. Let your roof replacement contractor throw all the industry terminology they want at you. Take good notes. Have them explain the process to you with as much detail as you can stand. Then, go and look it all up. If your roofer says the the answer to your question is “pink”, and every other source you find says it is “blue”, chances are pretty good that blue is the right answer. Like we said though, call us first. You’ll be glad you did.